I don't speak or do many videos. But a few weeks ago, I did a phone interview with marketers Tom Trush and Andy Renk that delivered so many ideas in so little time, I decided to share it with you here. Tom and Andy pulled a pickup truck full of ideas out of my head in this interview, "How to Multiply Your Marketing: Simple Secrets That Work Wonders." You'll discover a half dozen Marketing Multipliers revealed on our interview. If you've read any of my 576 blog posts in the last 6 years, you know that I'm a strong believer in strong guarantees. 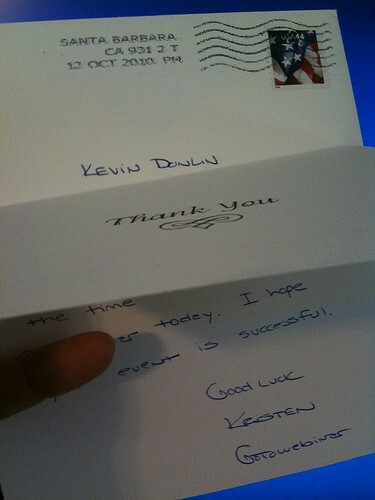 As long as you don't sell crap, a money-back guarantee can grow your business faster than almost anything else. 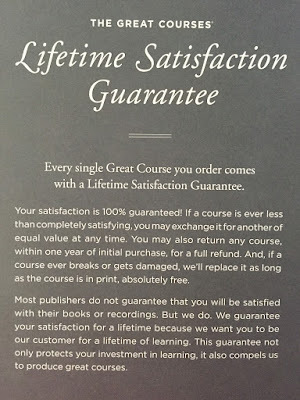 ... based on the "Lifetime Satisfaction Guarantee" from The Great Courses. That's it above. Study it. Because that guarantee is worth millions to The Great Courses. And you need one like it in your business, for 3 important reasons. Quick, which guarantee is stronger? Duh. The one that promises you a refund. It's clearly stronger. And all things being equal, the stronger guarantee wins more sales. Consequently, The Great Courses got my money. Now, it may surprise you to learn that I just returned a DVD to The Great Courses for a refund today. And I've returned stuff to them before. Yet, I've been buying from The Great Courses going on 10 years. I've given them at least $700 in business, minus about $75 in refunds. So they're still ahead. BUT ... that doesn't take into account the referrals I've sent them, like family members and clients, to whom I rave about The Great Courses. And now you, my loyal readers. One reason I recommend The Great Courses is because they offer ... great courses. Another reason? I can't look like a dolt for recommending them. Because anyone who dislikes a purchase can get a refund. That kind of "insurance" is important to anyone before making a referral. Now, think. If you don't offer a guarantee, what does that say about your business? Does it make you more referral worthy or less? 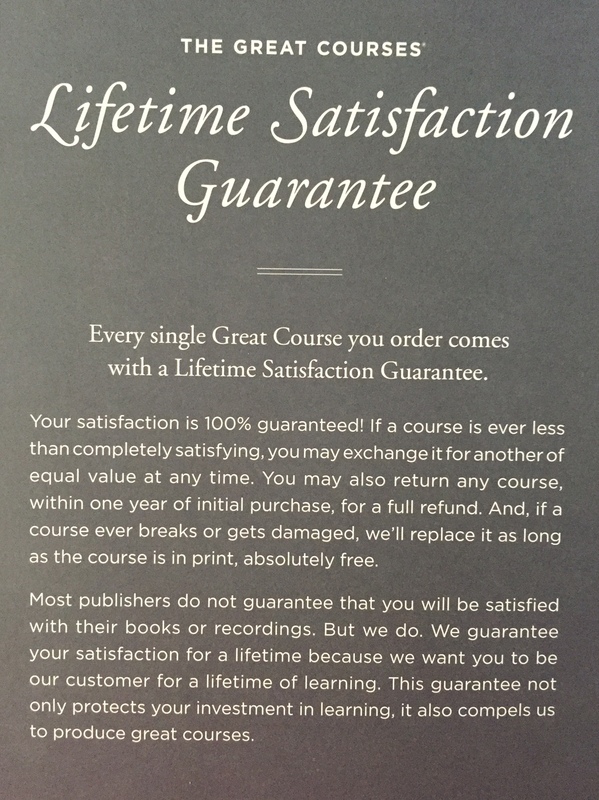 Look at that last line in The Great Courses' guarantee. It's brilliant: "This guarantee not only protects your investment in learning, it also compels us to produce great courses." Nothing like tightrope walking without a net to compel your best effort, eh? I can tell you from experience, after offering an unconditional money-back guarantee on my copywriting and consulting services since 1998, that it compels you to do your best work. Which is good for everyone. Hey, I'm not perfect. Neither are you. I give refunds about once a year. And if you offer a strong money-back guarantee, you'll give refunds, too. But if your sales go up 25% ... 50% ... or more, will you really care?